Today we have a lovely layout to share from Alicia. Here is another project I made using the Spellbinder Expandable Patterns Die - Butterfly Magic. 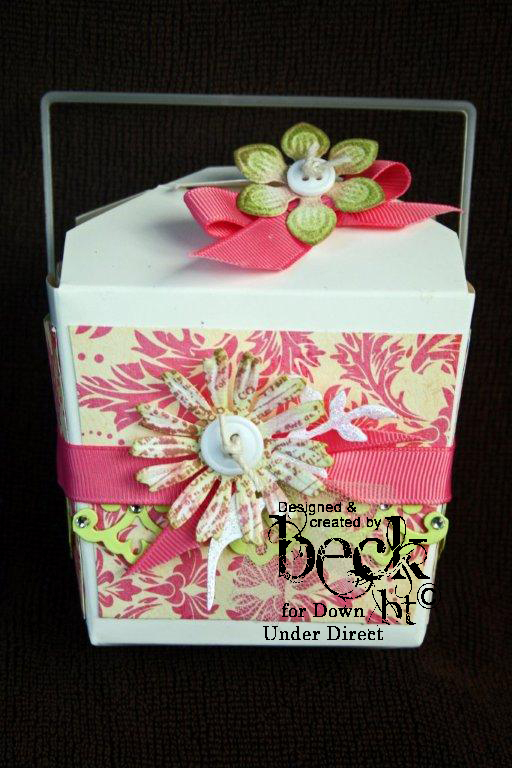 I'm loving using this die and exploring all the many possibilities and different ways to use it. you could also use the butterfly as a feature on it's own. "The JustRite Anchors Away set is perfect for masculine cards. I added some rope and gauze to enhance the nautical theme and tie in the multiple layers of the card." Good morning everyone and welcome to Tutorial Tuesday. 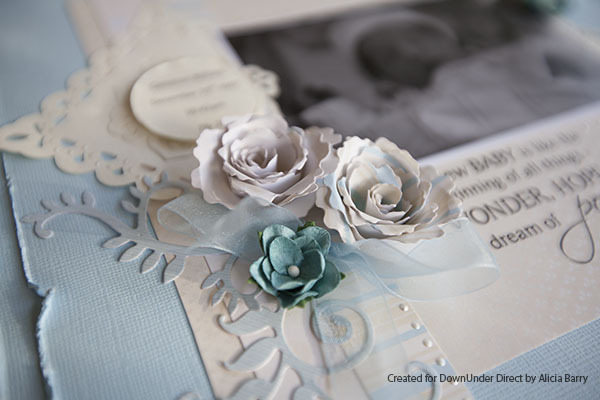 Today we have a clever little tutorial to show you how to make your own flower vines. 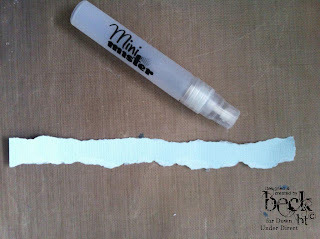 Give the paper a fine mist of water and wait about 10 seconds for paper to soften. 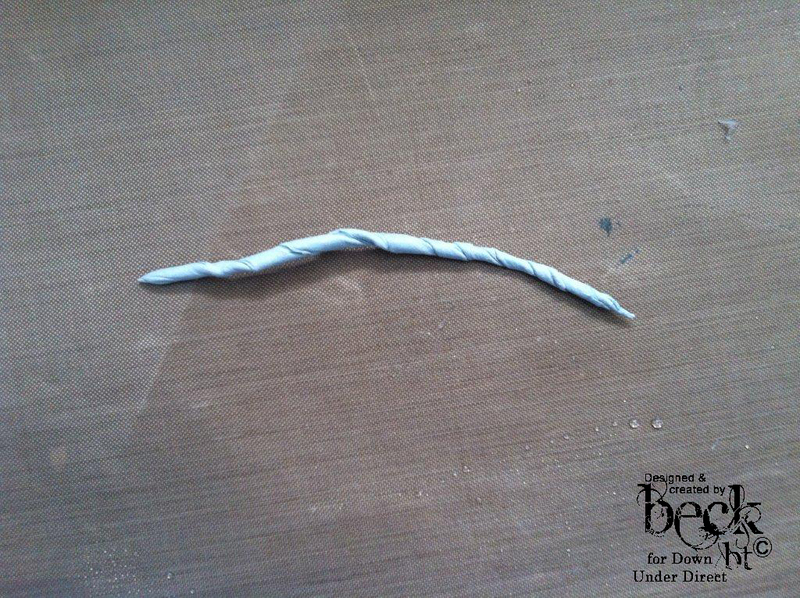 Gently twist the paper as shown below. 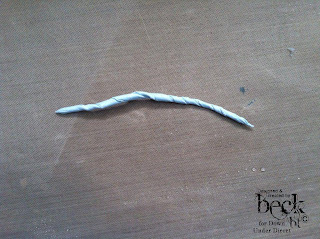 Once fully twisted, allow to dry before using as a vine in your layout. 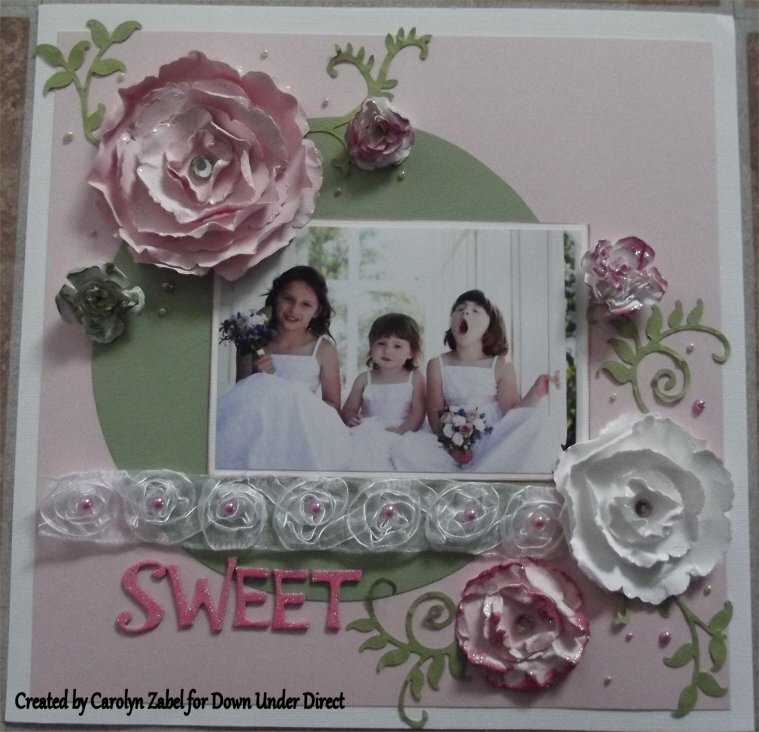 Simply add flowers and leaves as shown in the layout to create your own vines. 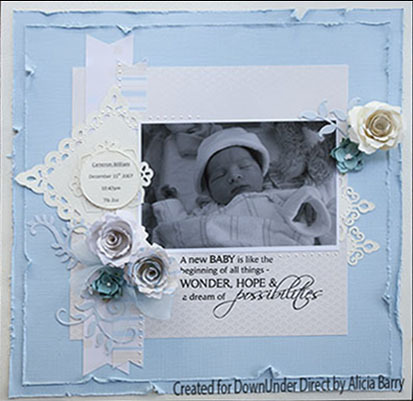 Today we feature another two of the new Spellbinder dies - Fancy Framed Tags One and Botanical Swirls. 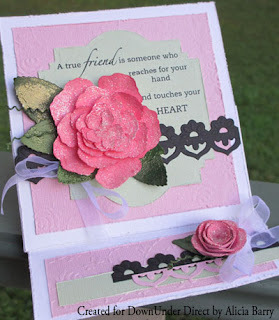 Today's project features another of the new Spellbinder dies Jewel Flowers & Flourishes. 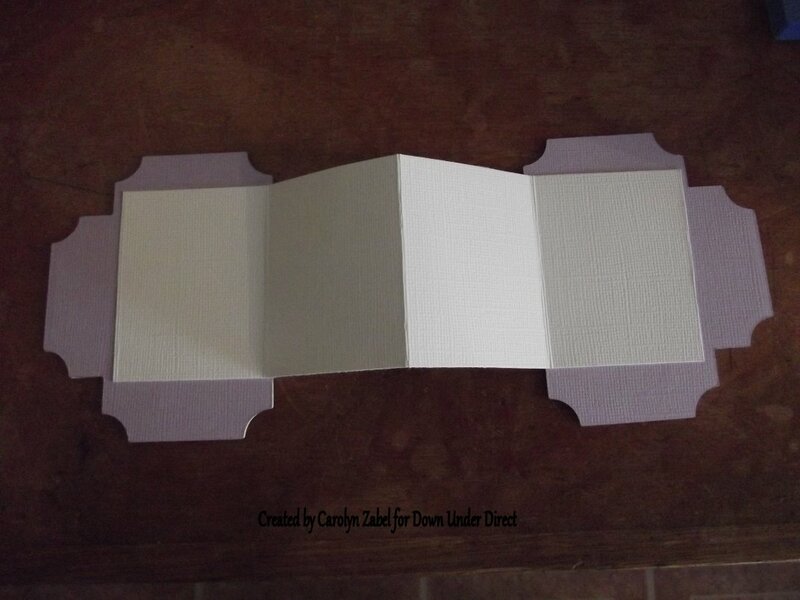 Father's Day is just over a week away so today we have another masculine themed card to share. 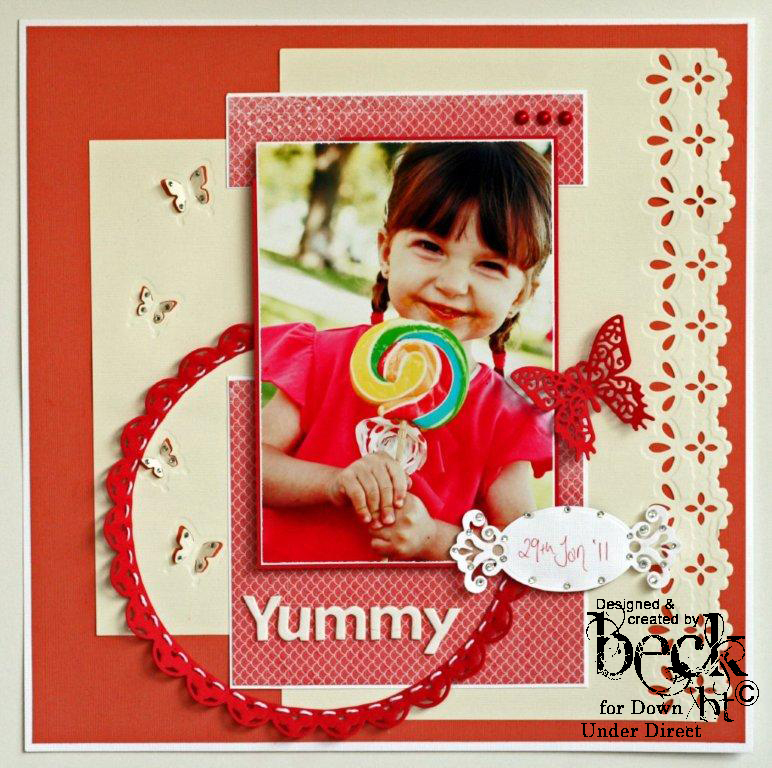 The feature of this card is the new Spellbinder die Dear Old Dad. Often we struggle with ideas for masculine themed cards. 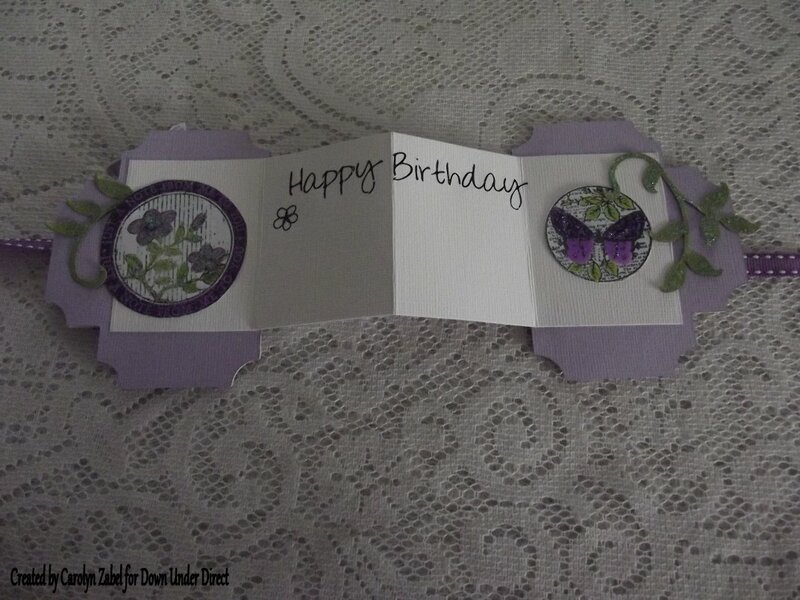 Here is a lovely yet simple idea for a card suitable for many occasions for the boys in your lives. 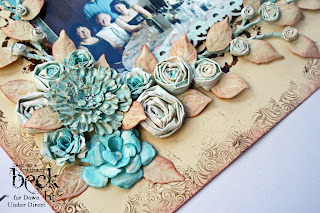 "The Bitty blossoms can be made into pine cones as well as flowers, just change the colour cardstock used and allow them to spiral down the skewer instead of winding tightly. Attach with hot glue." Today's project is a lovely rose card with just a hint of sparkle. 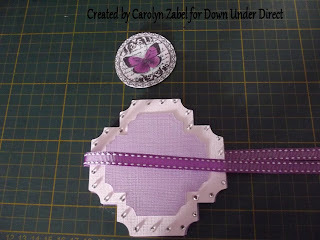 Today's project features another new Spellbinder die Decorative grand circles One. 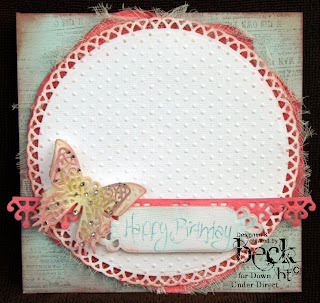 Today's project features a fun new Spellbinder die Snapshot. 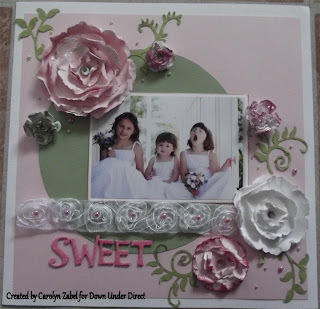 Today we have a fun little off the page that the children could get involved with too. The new Spellbinder die Foliage Two makes wonderful tendrils for cards, layouts and off the page projects. 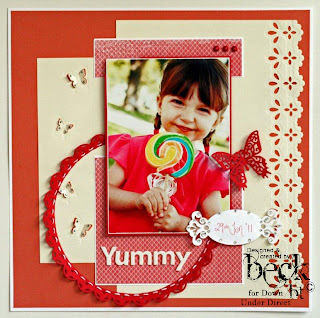 A pretty layout showcasing the stunning new Spellbinder Blossom Five die. Today's project features more of the new Spellbinder dies and embossing folders. 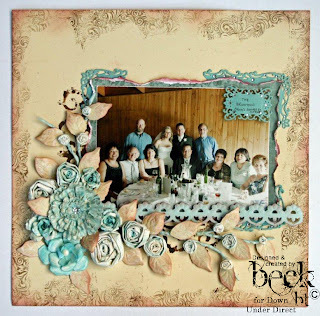 "When I saw this in Ikea and what a lot of people had done with it I knew this was just perfect to show off all my wedding pics and hang on my wall for all to see…." Welcome to Tutorial Tuesday. 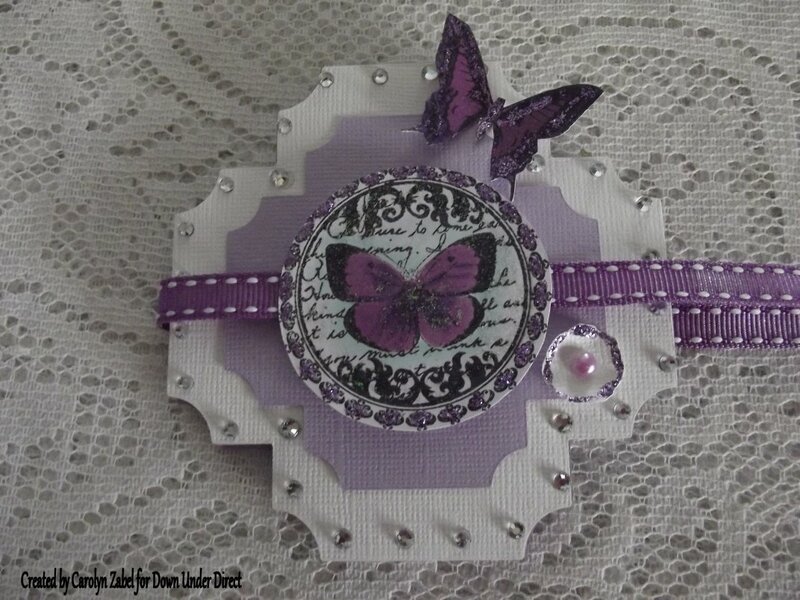 Today we have a lovely little accordion card using the stunning new Spellbinders die Labels Twenty Seven. 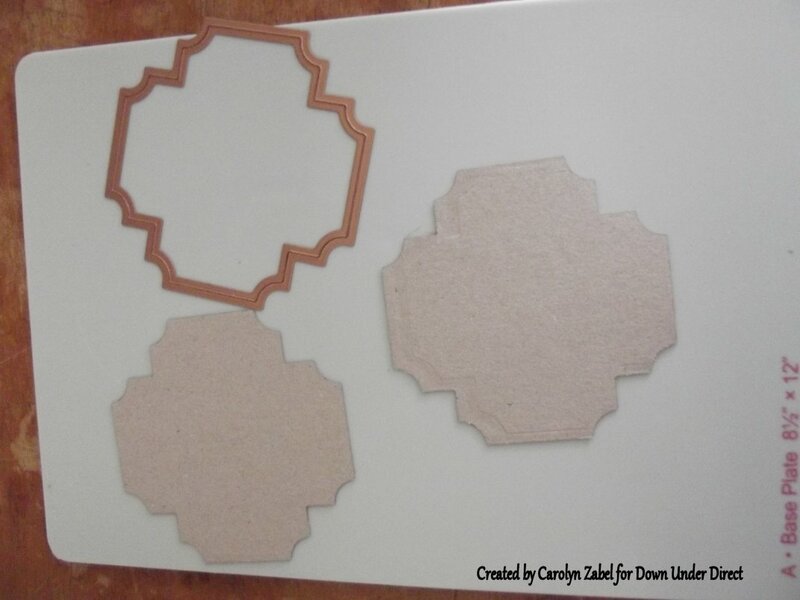 Using the largest die cut out 4 shapes in Bazzill and 2 in chipboard. 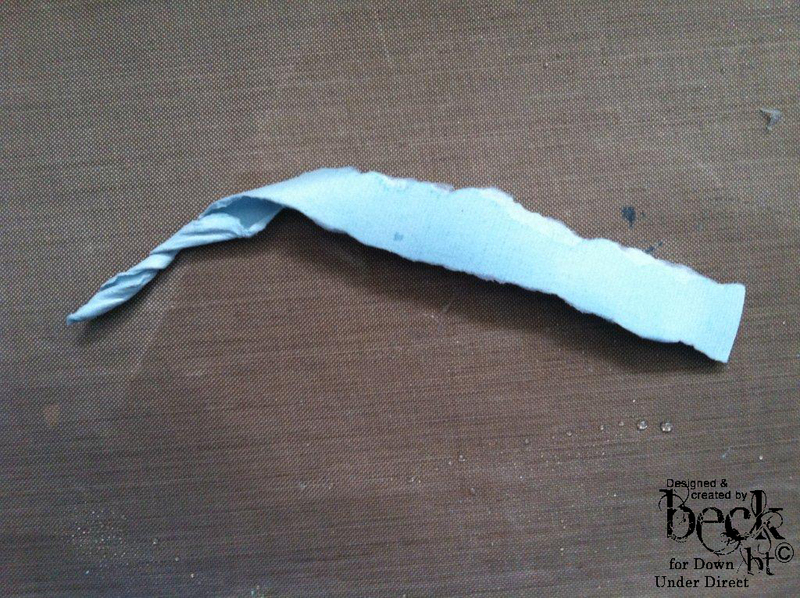 Using double sided tape adhere the bazzill shape to the chipboard to give it stability. 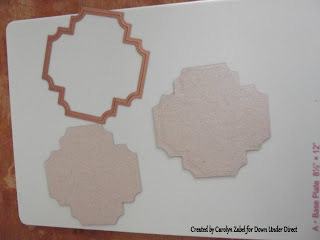 Now do this on the back side as well so your chipboard is now covered front and back in Bazzil. Cut 2 of the next smallest size in a complimentary colour and adhere to the first colour. 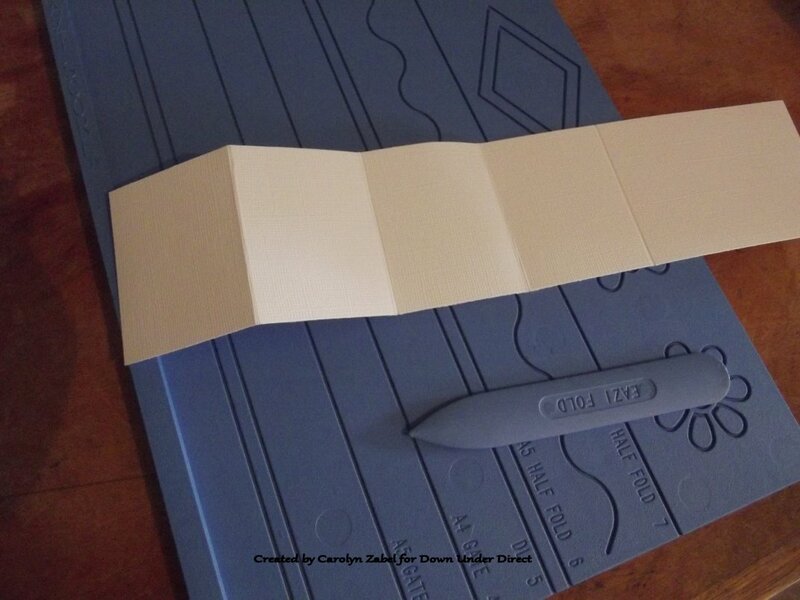 Using the directions on the back of the pack adhere the Le Crystelle Blingabilities to the front cover. Using your first colour that you adhered on the cover cut a strip 21 cm in length and 7 cm long. 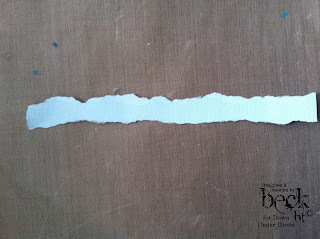 Score this in 5 cm intervals which will give you 4 little rectangles. 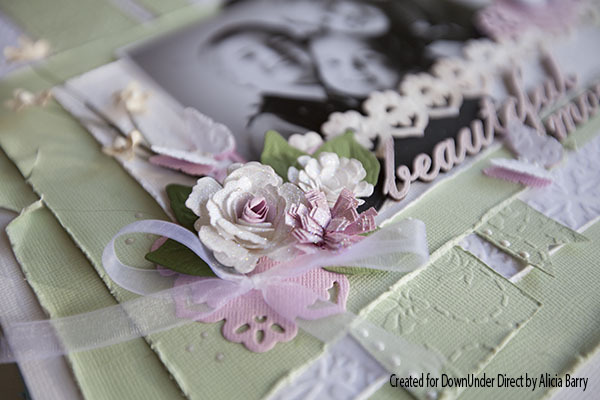 Mount whatever you decide to decorate your front cover with on 3d foam squares. 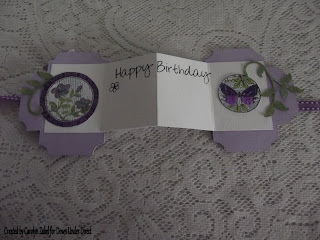 I used the Just rite Botanical Butterflies stamp. 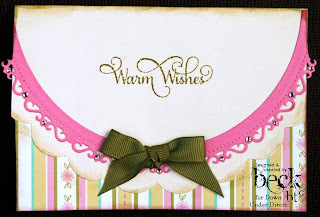 Position your foam squares on the top and bottom half of whatever you decide to use so you can run your ribbon under this so the card can be tied shut. 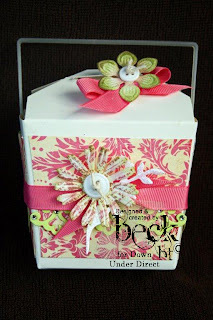 Cut your ribbon and adhere under your decoration. Now the fun part decorate in whichever way you please. This can also be used to make a mini accordion album Have fun!! Today we have a clean and simple masculine flavoured card featuring the new Diamond Strips & Accents Spellbinder Die. 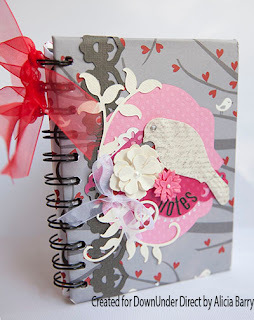 Today's project is a lovely altered journal featuring the new Foliage Two Spellbinder Die. 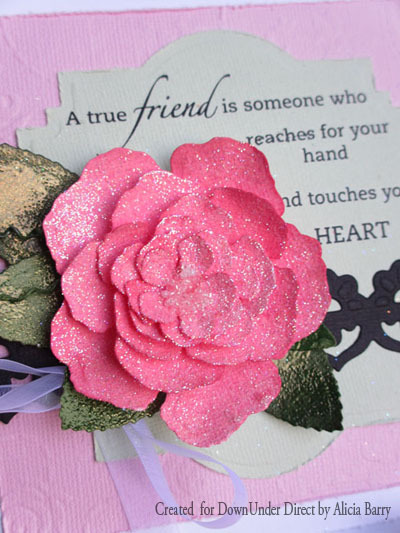 "Bazzill cardstock always makes a perfect rose for any occasion." 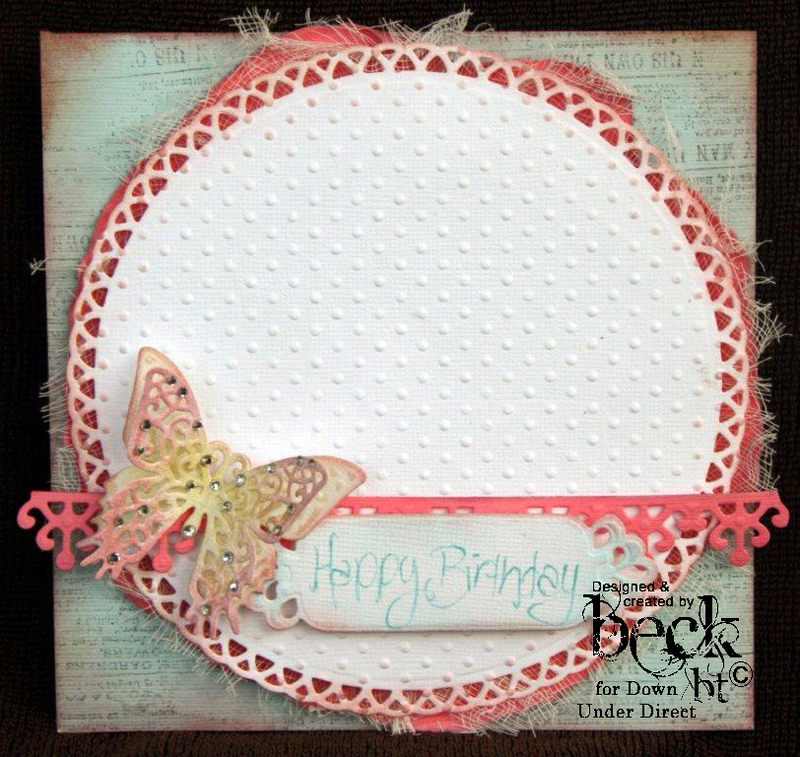 Today we have a cute layout featuring more of the newest Spellbinder Dies. 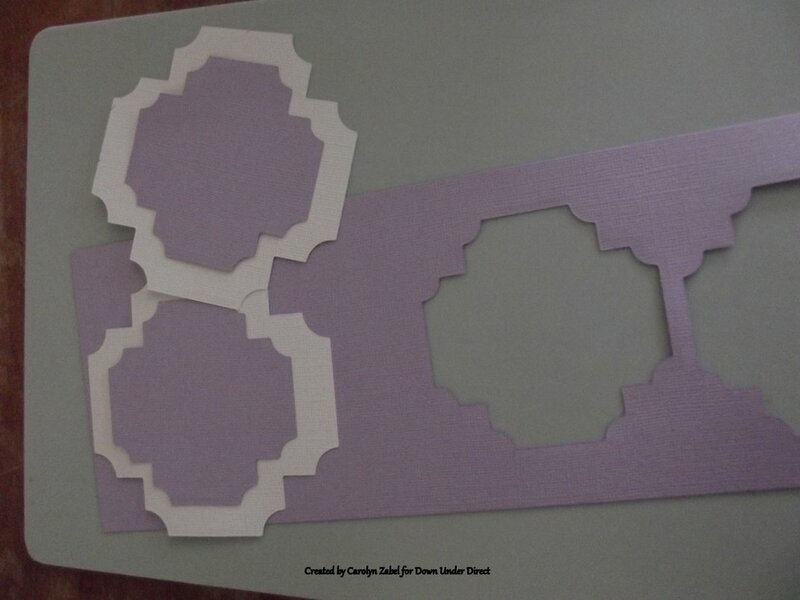 Today's project is a wall hanging featuring three of the new Spellbinder Dies - Resplendent Rectangles, Fancy Lattice and Hearts and Flowers. "I found this really deep photo frame on clearance one day, and just had to bring it home with me. 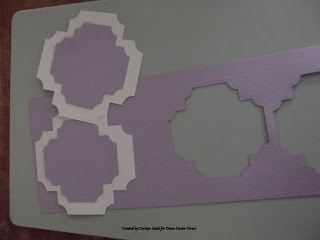 I turned it into a little wall hanging in soft, pretty colours to go in my daughter's room." Good morning everyone. 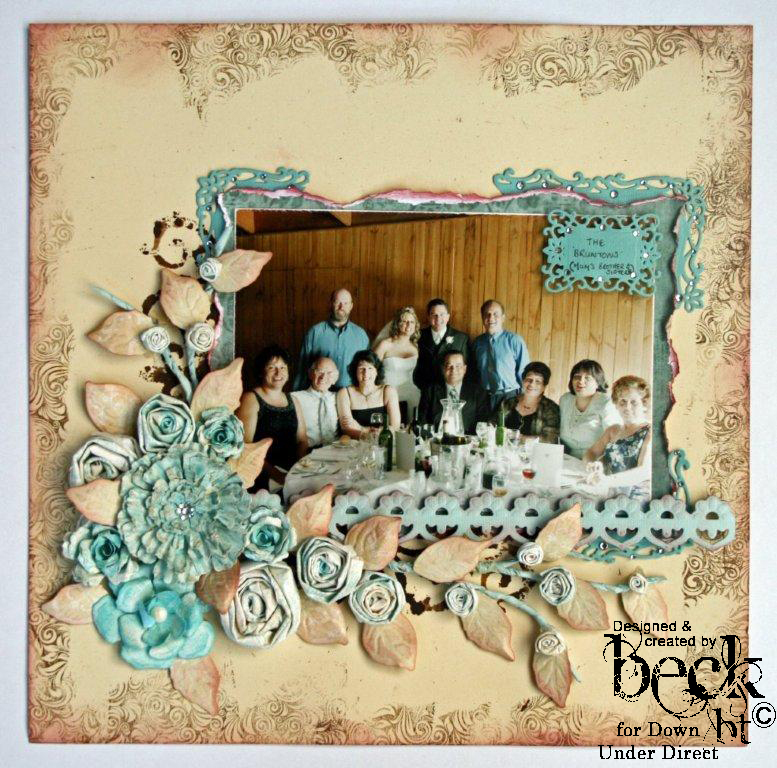 This first project for today features two of the new Spellbinder Dies Foliage Two and Asian Motifs.